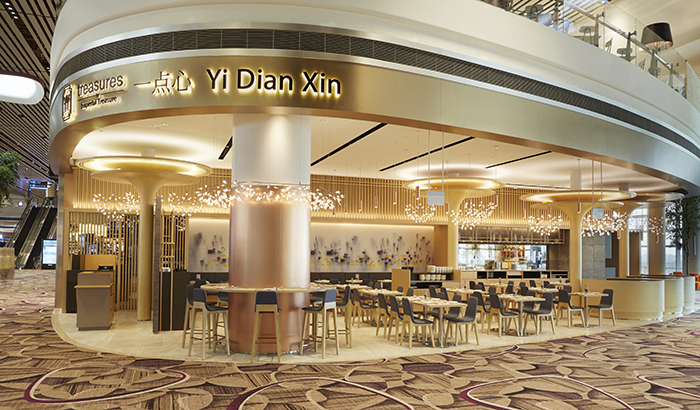 Yi Dian Xin located in Terminal 4 of Changi Airport serves cantonese dim sum. 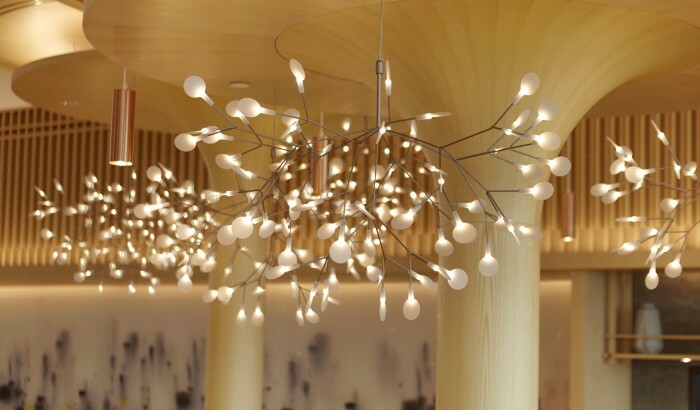 Inspired by the lush natural landscapes within the latest airport terminal of Singapore, we made use of the double height ceiling, dressing it up with iconic Moooi lights as magnificent tree-scapes. 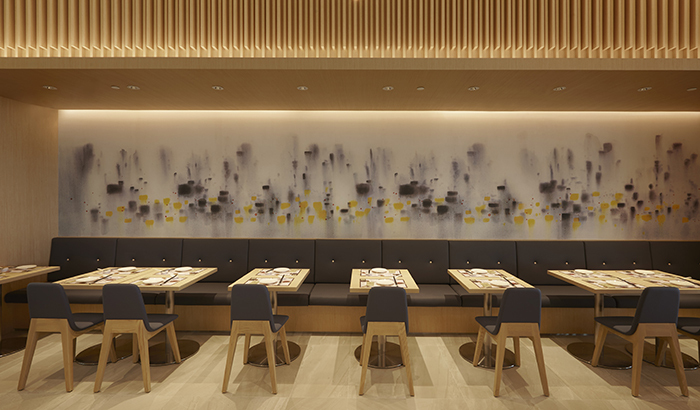 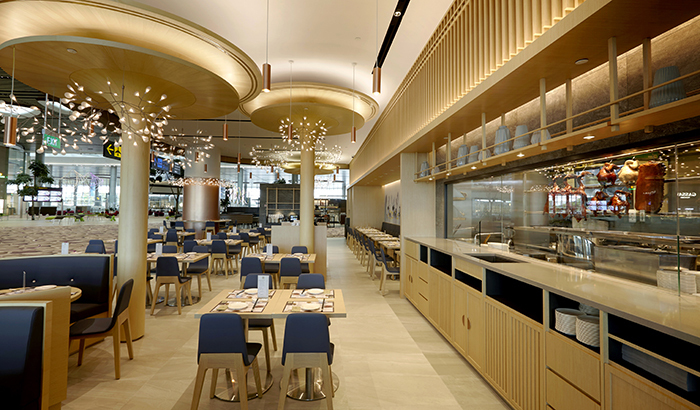 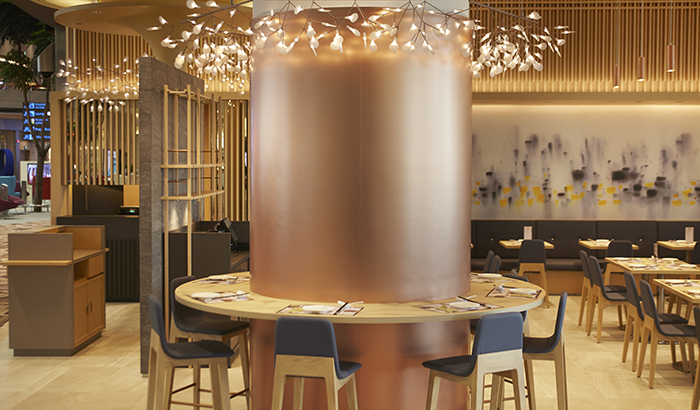 Material palette is kept natural with wood and a soft colour palette, conjuring the light-hearted dim sum dining experience.